PreveCeutical Medical Inc. is a health sciences company that develops innovative preventive therapies utilizing organic and nature identical products. 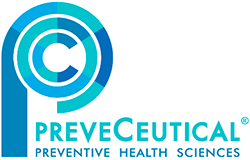 PreveCeutical aims to be a leader in preventive health sciences and currently has five research and development programs, including: dual gene therapy for curative and prevention therapies for diabetes and obesity; a Sol-gel platform for nose to brain delivery of medical compounds including cannabinoids; Nature Identical™ peptides for treatment of various ailments; non-addictive analgesic peptides as a replacement to highly addictive analgesics such as morphine, fentanyl and oxycodone; and a therapeutic product for treating athletes who suffer from concussions (mild traumatic brain injury). PreveCeutical sells CELLB9®, an Immune System Booster. CELLB9 is an oral solution containing polarized and potentiated essential minerals extracted from a novel peptide obtained from Caribbean Blue Scorpion venom. For more information, visit the company’s website at www.PreveCeutical.com. This entry was posted in PreveCeutical Medical Inc. PRVCF, QualityStocksNewsBreaks on March 23, 2018 by QualityStocks.